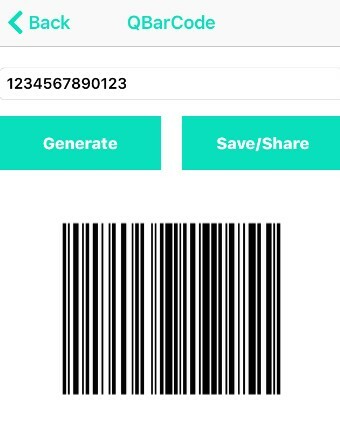 If you want to build and scan a QR/BAR Code for your own use, so here we release the QR/BAR CODE SCANNER AND BUILDER for you. 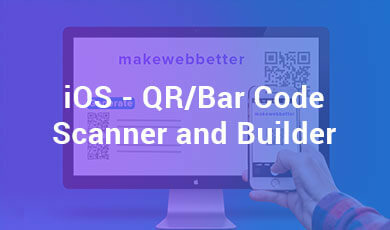 iOS – QR/BAR CODE SCANNER AND BUILDER is an amazing app to scan or build BARCode and QRCode easily with your iOS devices. You turn on the app then watch QR code or Barcode by the camera and scan the code. 3. 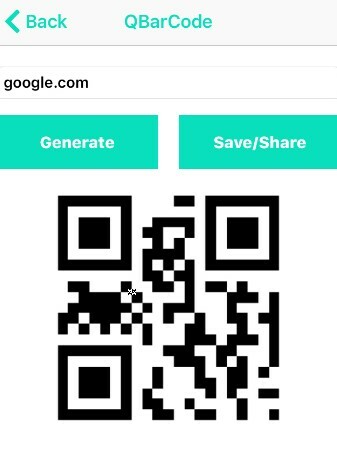 Generate QRCode: User also generates a QR code using this application in their phones and also share this QRCode with anyone. 4. 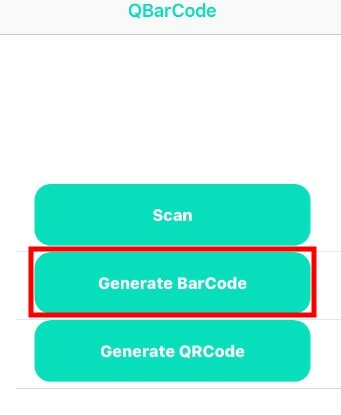 History of scanned QRCode and BARCode: We have given an option in this application for the user that he can also see the scan history of QR/BAR Code and also have an option to delete this history. 1. Unzip the archive and click on BAR CODE SCANNER AND BUILDER.xcodeproj. 2. In the QRScanViewController.swift class, import AVFoundation library and in viewDidLoad() code is written to initialize the capturing device and start the session for capturing the images of bar code and QR code images. 3. In the function captureOutput(), code is written to match the scanned images with the supported image codeTypes and if it matches, it navigates to HistoryViewController to show the text embedded in the scanned image. 5. 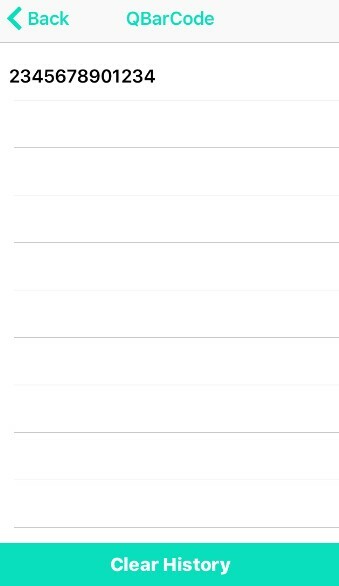 In the HistoryTableViewController.swift class, history can be deleted using deleteRecords() function. 6. In the GenerateBarCodeViewController.swift class, generateBarcode() is used to generate barcode image. 7. In the GenerateBarCodeViewController.swift class, shareImageButton() is used to share or save the generated barcode image. 8. In the QRGenerateViewController.swift class, generateButtonClicked() is used to change the title of generate/clear button according to situation. 9. In the QRGenerateViewController.swift class, displayQRCodeImage() is used to generate QR code image and shareImageButton() is used to share or save the generated QR code image. 10. BAR_CODE_SCANNER_AND_BUILDER.xcdatamodeld is core database which has table Entity and historyData as attribute to store the history of text embedded in scanned QR or bar code images. Now user clicks on this iOS – QR/BAR CODE SCANNER AND BUILDER application icon and opens the application in their iOS devices. Here we provide you with THREE buttons for using this iOS – QR/BAR CODE SCANNER AND BUILDER application easier for your iOS devices. 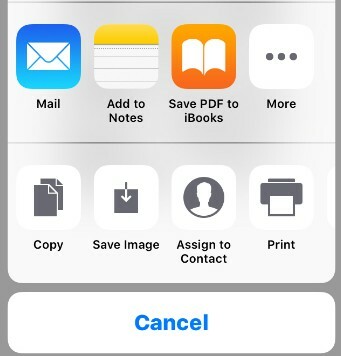 Now we will explain you the scan button working on your iOS devices. Click on the scan button and you can easily scan your QR/BAR Code with your iOS devices. The QR/BAR Code is detected then it shows the history section of the application and there is an option to delete this history. Here the user can easily access their previous QR/BAR Codes history. Here we show the QR/BAR Code detected history for the user and if the same QR/BAR Code is detected then their is nothing any replication of the history section. 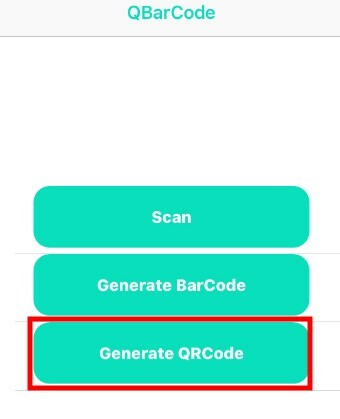 So the user can easily understand that how much QR/BAR Code is detected by this iOS – QR/BAR CODE SCANNER AND BUILDER application with nothing any confusion. Here we will explain to you a BARCode generate button working in your iOS devices. You just click on the Generate BARCode button. After clicking the Generate BARCode option user can enter the numbers and click on the generate button. 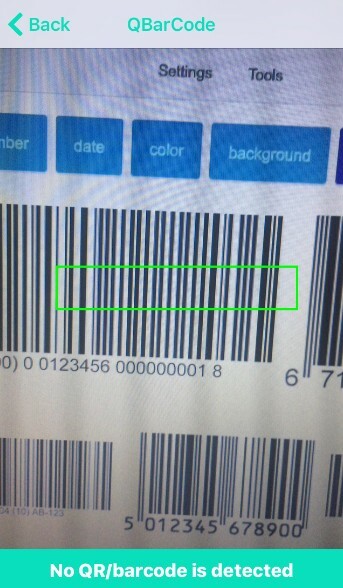 Now BARCode is successfully generated in their iOS devices but there is a limitation of numbers. The user can enter the maximum of 13 numbers for generating BARCode in their iOS devices. After successfully receiving the BARCode user can also share his BARCode by just click save/share button. Now we will explain you the QRCode button working in your iOS devices. You just click the Generate QRCode button. Now the user will enter the text or URL then click on the generate button and QRCode is successfully generated in their iOS devices. After successfully receiving the QRCode user can also share his QRCode by just click save/share button..